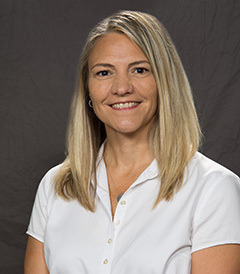 Associate Professor of Psychology Beth Trammell will offer a community-based workshop series, “Making Words Matter with Kids,” to teach parents, teachers and caregivers how to effectively communicate with children between the ages of 18 months and 12 years. The workshop series is made possible through an Indiana University Women’s Philanthropy Leadership Council award Trammell received in spring 2018. The public is invited to attend as the jurors select entries for this year’s Whitewater Valley Art Competition (WVAC) show. Entries will be electronically juried from 10 a.m. to 2 p.m. on Friday, September 21, in Vivian Auditorium, located in Whitewater Hall. Over 300 third-graders from Randolph County took their first step toward attending college by visiting Indiana University East for today’s “Walk into My Future” event. Over 300 third-grade students from Randolph County visited IU East for the “Walk Into My Future” event on Sept. 14. Thanks to the tremendous support from the local business communities, economic development corporations and chambers of commerce, the IU East Business and Economic Research Center (the BERC) continues to see successful response rates each year for the East-Central Business Survey. Based on the valuable responses collected, the BERC successfully calculated the 2017 value of the IU East Regional Business Confidence Index. The report had been released on the IU East Business and Economic Research Center (the BERC) website at iue.edu/business/berc. When Chloe Anderson was deciding whether to go to a Big Ten college in her home state of Ohio or Indiana University East, she considered her options carefully. Both colleges offered a full-ride scholarship and an excellent education. As a lifelong fan and Buckeye, the decision was difficult. The number of students enrolled at Indiana University East is again on the increase this fall. The campus welcomed its largest incoming class, and one of its most diverse, when classes started August 20. Indiana University East is pleased to welcome new faculty members to campus. Sanga Song, assistant professor of marketing, received her Ph.D. in Retail Merchandising and Consumer Studies from the University of Minnesota. She received her Master of Science in Clothing and Textiles with a concentration in Fashion Marketing and her Bachelor of Arts in Human Environment and Design with a minor in Political Diplomacy from Yonsei University, in Seoul, Korea. Cherie Dolehanty is the new director of University College at Indiana University East. She will begin her role August 27. University College is a department that provides support to first-year students and new online students through success coaching, advising, career planning, the First-Year Seminar, workshops, and other events.